Welcome to the weekly team meeting! It’s six months to go until the product ships. We just finished a gripping argument on what constitutes a pass in the QA test benchmarks. I’m not sure but I think we settled on 95% pass rate, it might be 90% I’d have to check my notes. We are now doing a review of outstanding product change orders. Engineering wants to remove a major feature? Their argument is the project is behind schedule and this feature will take to much work. As arguments start to dive into yet another rat hole, you realize that no one is even mentioning that your chief competitor is stealing market share hand over fist with their new release. A new release that is already better then your next planned release. Not even with Hogarth sitting there the business paper open to an article all about our competition. Oh, right! Meet Hogarth. He’s sitting down the table, wedged between the QA director and the product manager, quietly reading his newspaper and ignoring everyone else. It’s a bit of tight fit, but what do you expect from an 800 pound gorilla? Say hello to the “gorilla in the room”. 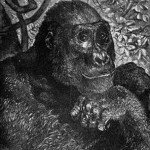 Like many people in the ‘Valley’, a good friend of mine and fellow Project Manager Wendy WorthingtonBarnes*, likes to call it the “gorilla in the room”; as so often that gorilla takes on the power of the 800 pound gorilla, “an overbearing entity in a specific industry or sphere of activity” (From UrbanDictionary.com). Just as Microsoft is the 800 gorilla of consumer operating systems, the teams abject denial of the competitors new release is the 800 pound gorilla in the meeting. As project managers, we find ourselves facing the gorilla all the time. Often we are the only ones even willing to address the gorilla, and we run into fascinating challenges in how to get everyone else to face the gorilla. Sometimes it isn’t possible and/or worth trying to talk to people about the gorilla. When that happens you just find yourself staring at him, doing your best to manage around him and sometimes, since no one else will listen, talking to him. That’s what this blog is all about. 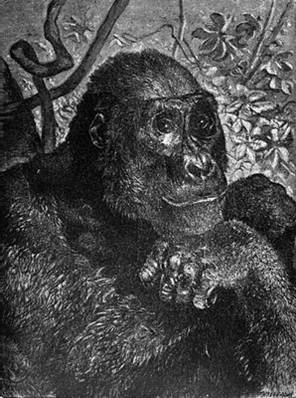 Observations and stories about the various and sundry gorillas I’ve encountered within my years as a high tech professional. So welcome to my observations, ideas, challenges and triumphs in dealing with the “gorilla in the room”. Wendy calls her gorilla Stanley. I call my gorilla Hogarth. What do you call your gorilla? *- The title of this blog was inspired by Wendy WorthingtonBarnes and I would be remiss without giving her the proper credit. When I wanted to start this blog, my thoughts for a title were very disconnected with what I wanted to do with the blog. She reminded me about the gorilla in the room and how often we face it and the rest, as they say, is history. This entry was posted in Meetings, Project Management by Silverback. Bookmark the permalink.